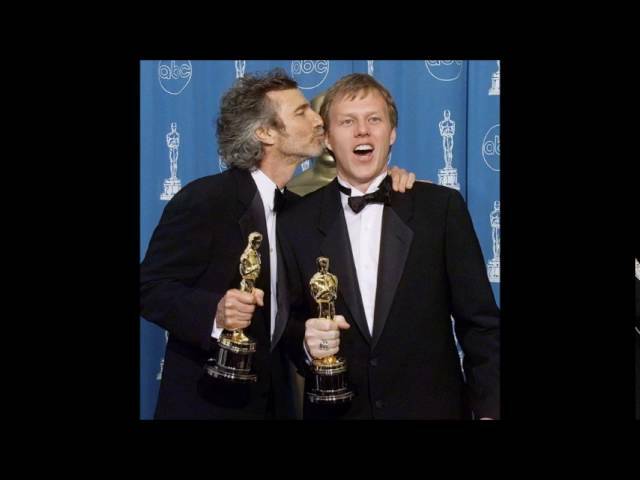 Oscar-winning writer and film director Curtis Hanson has died at his home in Hollywood at the age of 71. Police said he died of natural causes. A report said he had retired in recent years due to Alzheimer's. Hanson won an Oscar in 1998 for best adapted screenplay for LA Confidential. His directing credits included The Hand That Rocks the Cradle and Wonder Boys. He also directed Detroit hip-hop movie 8 Mile starring Eminem, who led the tributes. "Curtis Hanson believed in me and our crazy idea to make a rap battle movie set in Detroit," the rapper said in a statement. "He basically made me into an actor for 8 Mile. I'm lucky I got to know him." LA Confidential actor Russell Crowe wrote on Twitter: "Thank you for believing in me & standing your ground. In reality you made my job a career. Love & respect my friend." Hanson, born in Reno, Nevada, started as a writer for the magazine Cinema before moving into screenwriting and directing in the early 1970s. "I got into the business kind of through a side door," he said in 2005. "I felt my best avenue was through screenwriting, because to write, all you need is a typewriter and an idea." But it was only in 1992, with The Hand That Rocks the Cradle, that he found mainstream success. He went on to direct The River Wild with Meryl Streep and Kevin Bacon in 1994, and he co-wrote the screenplay for 1997's LA Confidential, adapted from James Ellroy's novel about crime in 1950s Los Angeles. "LA Confidential was the first movie that I produced as well," he revealed in 2005. "My attitude was very calculated. I knew I was using up the leverage I had earned on those other two movies and making a picture I really wanted to make." In 2000, he filmed Wonder Boys with Michael Douglas and Tobey Maguire, who described Hanson as "a generous and talented man", adding: "I'm grateful to have known and worked with him." On Twitter, Bacon said: "So sad to hear about Curtis Hanson. great director. Great man. Riding that river with him was one of the greatest gigs of my life." Most recently, Hanson directed the HBO film Too Big To Fail, about the financial crisis. Actor James Woods added his tribute. He wrote: "This saddens me deeply. Great director and the nicest man. RIP, dear friend." Rob Lowe, who acted in 1990's Bad Influence, said it was "an honour to make Bad Influence with Curtis Hanson. So smart, so kind and a great storyteller. I will miss him". Hanson's final project was 2012 surf movie Chasing Mavericks, with Gerard Butler and Elisabeth Shue. However, Curtis dropped out during filming due to an undisclosed illness and was replaced by Michael Apted. Actress Abigail Spencer, who also starred in Chasing Mavericks, posted: "So honoured I got to work with the dear Curtis Hanson – the most lovely and wonderful. Heartbroken. My condolences to his family." When asked to describe his career in 2005, Hanson told the BBC: "Thematically I just go to what interests me. I'm always asking myself, is this a world I want to go into? "To use the analogy of a traveller, I'm someone who likes to go to different countries rather than return to the same country all the time."